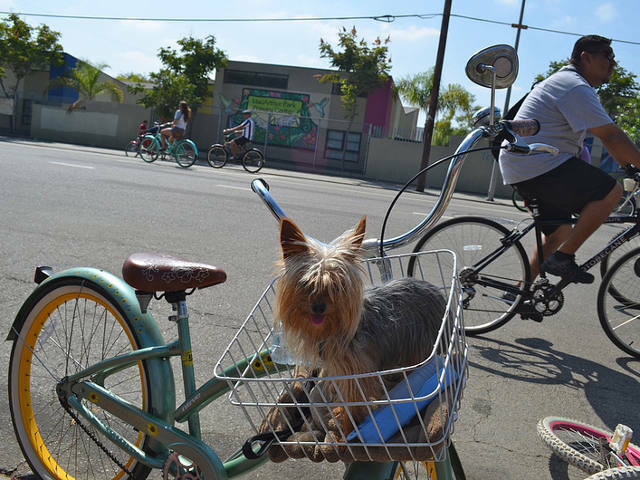 A four-legged passenger enjoys the CycLAvia bike event in Los Angeles, California. Photo by Melissa Wall. A reporter named T.D. Denham wrote that Southern California, ought to one day become, “a cyclist’s paradise,” with its “delightful climate and beautiful country, verdant and radiant with wild flowers in the midst of winter.” Denham wistfully lamented that the entire nation, in his opinion, should be connected by cycling roads, following southern California’s example. The example that he is referring to was the California Cycleway, and T.D. Denham was writing in 1897. The city of Los Angeles, in the U.S. state of California, is home to nearly 4 million people nowadays. Of that number, it is estimated that only 0.9% of the population — approximately 16,011 residents — commute to work by bicycle. Rewind 116 years to 1897, and you will find that a full 6% of Los Angeles, California’s 500,000 residents were cyclists — nearly twice as many as today! 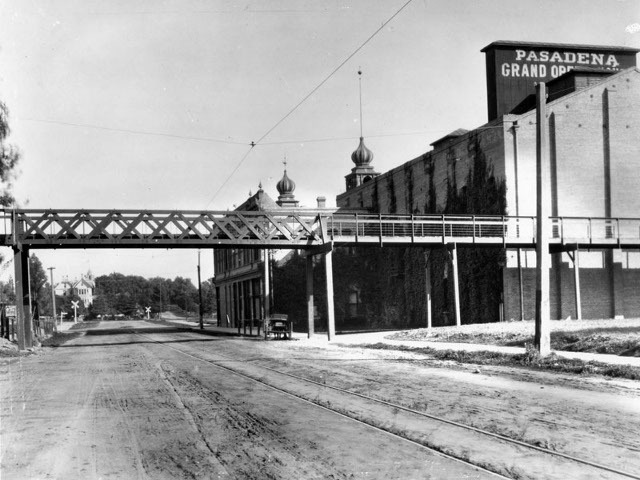 Pasadena resident Horace Dobbins bankrolled the construction of the Cycleway, after receiving approval from the state legislature, which was against the idea until a former governor and friend of Mr. Dobbins threw his weight in with the project. 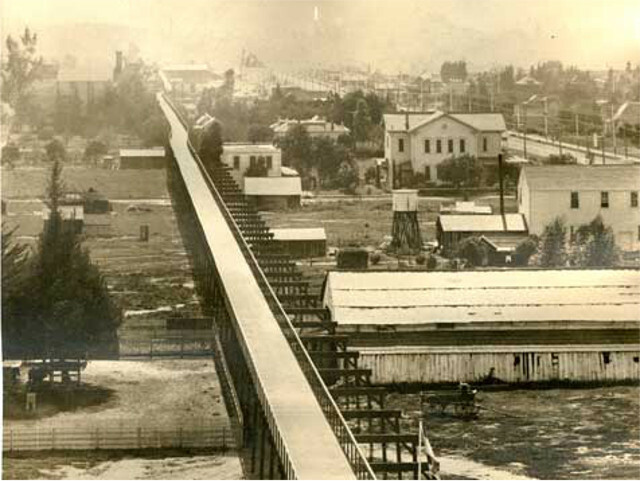 The Cycleway was to be a privately-owned elevated wooden boardwalk, connecting Pasadena with downtown Los Angeles, and upon which cyclists would pay $0.10 one-way, or $0.15 for a roundtrip journey. The first mile and a quarter were actually constructed! But then technology intervened in the form of the automobile, which quickly led to the project being abandoned and sections of the route turned into a motorway, which would eventually become the Arroyo Seco Parkway, connecting Los Angeles with Pasadena, along the Arroyo Seco River. Thanks to Benoit Colin for providing the inspiration for this post!